"There aren't many bands for which almost every song is a classic, which at this band's age of more than 40 years is much better than any old hit." Why See Maze and Frankie Beverly? 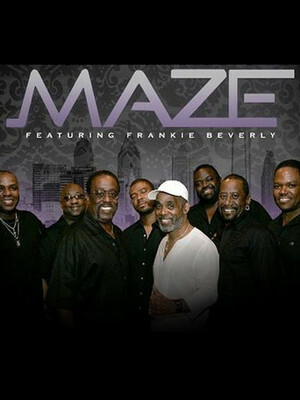 Get ready to groove with Maze and Frankie Beverly! Grandmasters of funk, RnB and soul Maze and Frankie Beverly have been inducing mass dancing and euphoria for 44 tremendous years. Amongst the best acts of the 70's and 80's, the band fuses together the lush instrumental sound of their native Philadelphia with laid-back California grooves, culminating in a smooth blend of funk-tinged soul pop. The energy and audience participation of a Maze concert is unrivalled in pop music today, frontman Beverly sure knows how to connect with a crowd using copious amounts of charm and a distinctive baritone voice, as soft as silk and sweet as honey. Don't miss this opportunity to watch these living legends live in concert! Sound good to you? 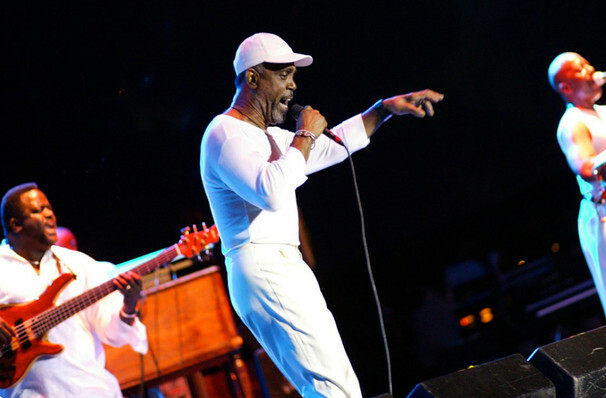 Share this page on social media and let your friends know about Maze and Frankie Beverly at DAR Constitution Hall. Please note: The term DAR Constitution Hall and/or Maze and Frankie Beverly as well as all associated graphics, logos, and/or other trademarks, tradenames or copyrights are the property of the DAR Constitution Hall and/or Maze and Frankie Beverly and are used herein for factual descriptive purposes only. We are in no way associated with or authorized by the DAR Constitution Hall and/or Maze and Frankie Beverly and neither that entity nor any of its affiliates have licensed or endorsed us to sell tickets, goods and or services in conjunction with their events.